No wonder Marsala is the color of the year as named by Pantone….it’s warm and rich! 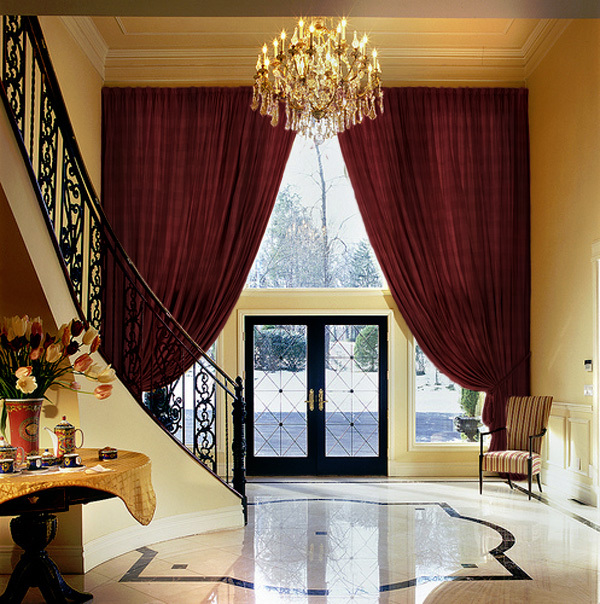 Imagine a bold entryway like the one seen below with curtains done in Marsala. If you’re not ready to go all out, how about some accents of Marsala in the form of throw pillows that might be the right touch? Marsala also pairs well with turquoise and dusty light blue. Whatever your choices, here’s to a colorful 2015! For more information on the different types of colorful window treatments available at Window Works, click here.